The first time I watched a narrow ramp being constructed across a swimming pool for a major fashion show, I remember being distinctly nervous. Would anyone fall into the water, I wondered. Would the makeshift boardwalk split into fragments halfway into the evening? I neednai??i? ?t have worried, however. It was a show that went down in history as one of the finest of its time. The midnight blue of the water was the perfect backdrop for the fairy lights festooned below the decks and when pitched against the orange sunset of a Bengaluru sky, it was an idyllic Instagram moment. There have been many unusual fashion sets since, in the city. 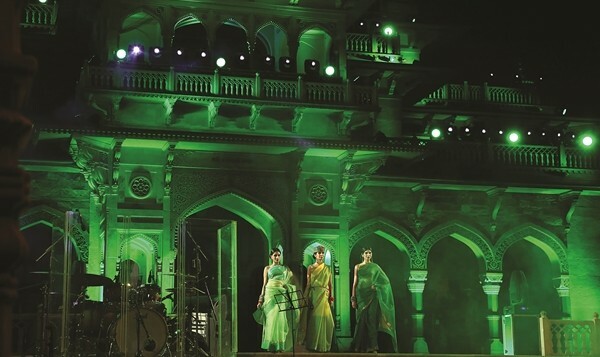 From a show in Freedom Park, one on escalators, a few at restaurants, malls, palaces and some at gardens, innovation is the key when it comes to creating a unique fashion show. The idea is to make the setting so special, that you remember the ambience and therefore, the clothes too. Some iconic fashion runways and venues can never be forgotten. When the fashion house, Chanel held a show in Havana some time ago, it turned a colonial boulevard into a bright and beautiful runway. Another much-remembered show was by Karl Lagerfeld and was held in a Parisian supermarket. This exquisite merging of food and fashion during Paris Week proved to be a pageant of sheer creativity. And, who can forget artistic director Marc Jacobsai??i?? show-stoppingset of a carousel, which went down in history as the famous Carousel Catwalk. 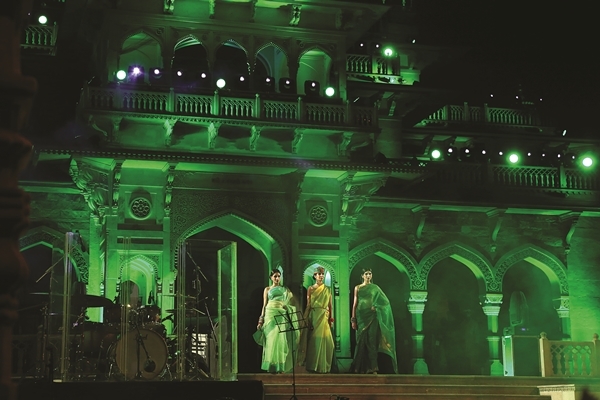 In recent times, offbeat venues for fashion shows have become the norm. 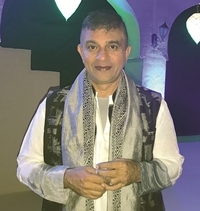 Bengaluru-based fashion guru, Prasad Bidapa, who is known for his creative ventures loves the innovation that goes into making a special set for a fashion show. ai?? ?The venue dictates the presentation of my shows,ai??? he says. ai?? ?I prefer locations like monuments, palaces and architectural backgrounds. If I am stuck in a hotel ballroom, I work with unusual backdrops or elevations and asymmetric ramps to create interest and change audience perceptions constantly.ai??? Bidapa has crafted many unique sets over the years. ai?? ?This year at the Rajasthan Heritage Week, we chose the Diggi Palace which was the required size and boasts extensive lawns on which we could construct the enormous Crafts Pavilions as well as the main show areas,ai??? he says. ai?? ?Over five days, there were three set changes at this venue. The area had ancient tabelas (stables) on one side with high arches. We decided to build a mammoth set on the other side based on the ancient baavdi or step stone wells of Rajasthan with a massive arch in the middle. The audience thought it was part of Diggi Palace and that it had been there forever! That was a huge compliment,ai??? he recalls.